It’s no surprise that gyms enjoy a big boost in popularity at the beginning of every year as countless people resolve to lose weight or get in shape for the new year. While such a popular new year’s resolution is a big gain for the gyms, surrounding businesses and residences also gain something – increased noise. As such, we receive countless inquiries and pleas for help from either the owners or neighbors of gyms, dance studios, gymnastic centers and similar. From the music to the equipment, these facilities are often rife with intrusive sound and with little or no soundproofing, they prove to be disruptive at best and uninhabitable at worst. So what can be done to remedy these issues? For residences and neighboring properties, there are typically three transmission paths for sound: walls, floors and ceilings, and windows. Through a combination of sound-barrier and sound-absorption materials, including customized construction techniques specific to your noise problems, we can reduce sound transmission. Our Sonic-Shield acoustic barrier materials can reduce transmitted noise by up to 75 percent. To reduce the sounds created from walking, running or tumbling on hard surfaces, we use combinations of sound-absorbing underlayment on floors and sound-barrier and sound-deadening materials on ceilings to reduce the transmission of sound. Unsurprisingly, windows transmit the most noise for homes and businesses. Various solutions can be used to reduce this noise, including the use of acoustic windows, sound dampening treatments in the window themselves with acoustic caulking or films applied directly on existing windows to dampen noise. For the gyms, dance studios, and gymnastic centers themselves, the development of an effective solution starts by first identifying the noise that is offensive, then determining the noise transmission path(s) and measuring the acoustic characteristics of the noise. The noise transmission path is simply the identification of the source of the noise and determining how it arrives at your ear. Identify the noise through acoustical testing and analysis to understand where soundproofing your commercial space will be most effective. Choose commercial soundproofing materials that are low cost, safe, and effective. Often, our REVRB Acoustical Panels, provide the best soundproofing solutions as they are able to reduce echoing, reverberation and other airborne noise to manageable levels. Hire trusted acoustical experts who have designed commercial soundproofing in the past to ensure you have the most effective solution for your unique needs. Whatever your acoustic issue, we’ve likely seen it, heard it – and can provide you a solution. 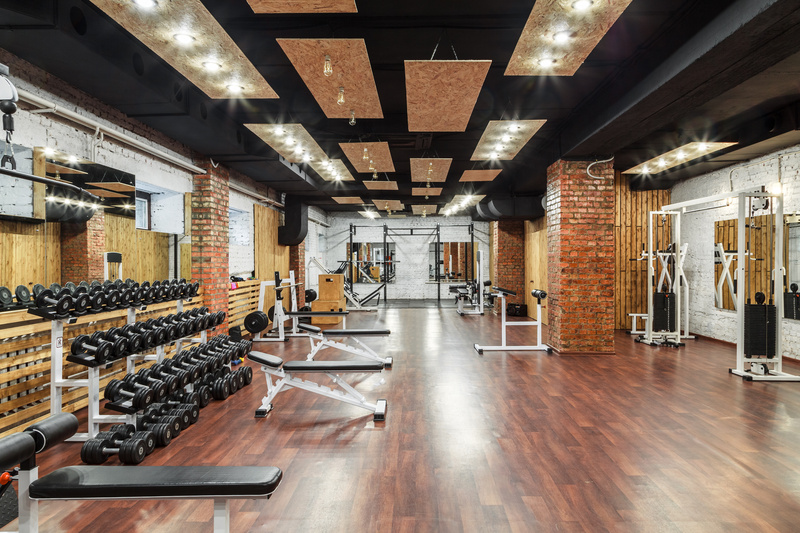 Contact us today to find out how we can solve your gym’s soundproofing problems today!